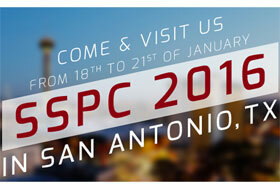 Members of the W Abrasives NAO sales team were present in the SSPC Conference and Exhibition (The Society for Protective Coatings), which was held at the Henry B. Gonzalez Convention Center in San Antonio, TX, on January 18-21, 2016. The exhibition was filled with interacting and meeting current and prospective customers and showing our continued dedication and commitment to the contractor market. It was also a great opportunity to promote our high quality products by introducing the new NAO Technical and Training Center which is now located in Houston, TX.